Marvel Holds Their Own "Hunger Games" With "Avengers Arena"
Conceptually, this book had me from the very first few pages. Then when you add to it the deep characters, striking art, and perfect pacing you get something that is as close to perfection as can be achieved in comics. We don’t give out number scores, but know that if we did, Punk Rock Jesus #3 would max out our rating scale. 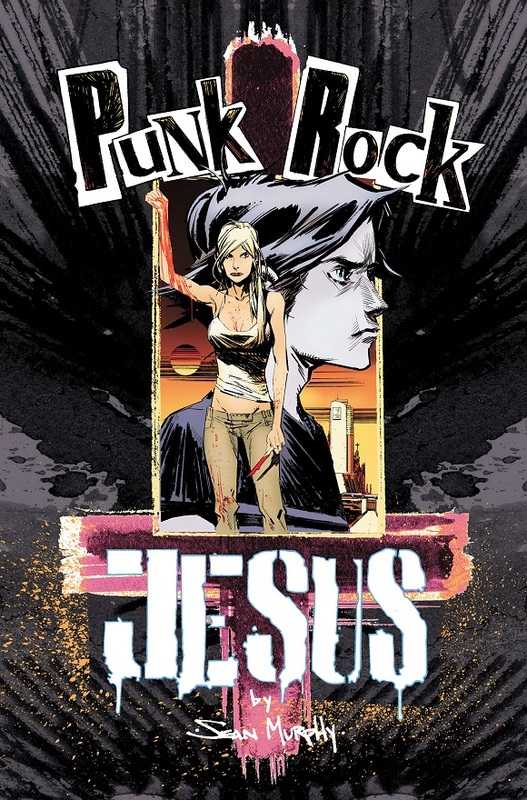 Sean Murphy has hinged this book on the characters, and all of them have endured some form of hardship. Some of theirs are very relatable; others are something we can never fathom–yet, you still form a connection nonetheless. This book moves through about nine years of Chris’s life. Through the years we see his hardship. He is never going to know what it is like to be normal. Even among other kids, he will still garner far more attention than even children of celebrities receive. Murphy continues to show his mother as a troubled person, but she is much more likable in this issue for me. She has more going on behind her situation than what we’ve come to know, and her character is much more complex because of it. Then there is Thomas. He’s our constant—he’s our rock. His demeanor and attitude are unwavering, and yet we still don’t know just how he will end up affecting the story. You get the feeling that he will be a major factor. You just can’t place how, when, or for whom. Sean pulls double duty in this book, and he does so better than many that have tried before him. None of the pages in this book feel rushed or compromised from the effort it takes to write and draw a book. The first issue of Punk Rock Jesus was the first time I could say that I actually liked black and white art. Its lines and attention to detail are stunning. This is not like Think Tank’s art (which I gushed about last week). It is gritty, has the sharp angles we know him for, and is so precise that I can’t find any flaws about it. What Sean Murphy is doing with this book is special. This is a book I picked up because Steve spoke highly of it on a podcast, and it has turned into one of my favorite titles. I was genuinely excited to see where the next issue would go after last month’s, and I am even more so in anticipation of the next. Do yourself a favor and catch up on this series. I cannot understate how much you need to be reading this book. Sean Murphy is doing great work here. These are the books you need to back as they are released, so that publishers (and good-ol’ Diamond) know that this is what we want more of. Buy it. Buy it, now.